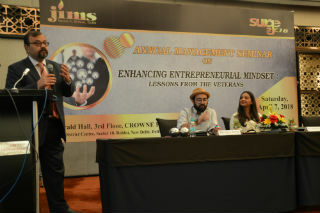 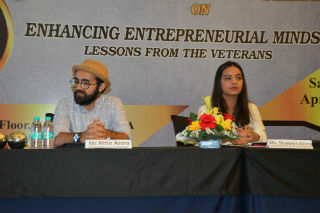 Surge an annual management seminar on “Enhancing Entrepreneurial Mind-set: Lessons from Veterans” was held on 7th April, 2018 i.e. 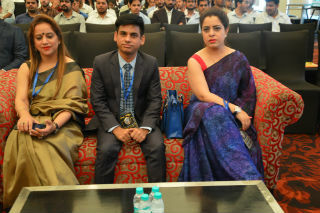 Saturday. 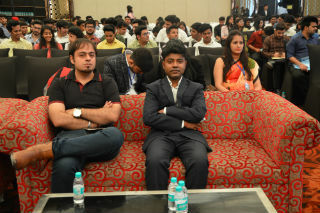 The event began with the address of Dr. Pawan Gupta, Director, Jagan Institute of Management Studies. 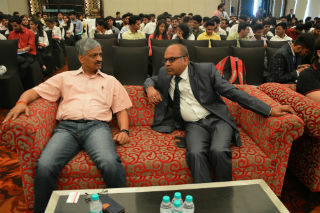 Sir emphasised on ‘focus’ and quoted “we all are leaders as we are leading our lives.” Dr. Vijay Kumar, Director of MSME, the chief guest for the event, encouraged young boys and girls to join entrepreneurship by sharing some industry slabs and government plans for incubating budding entrepreneurs. 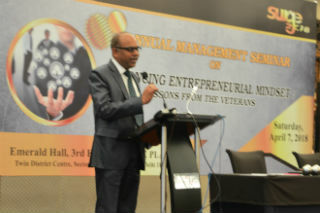 He even shared that MSME focuses on training, designing & development of products/plans, funding and providing skilled manpower. 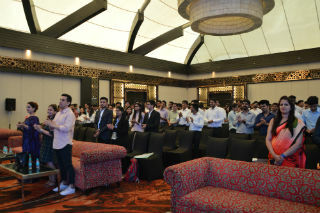 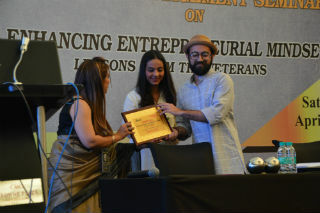 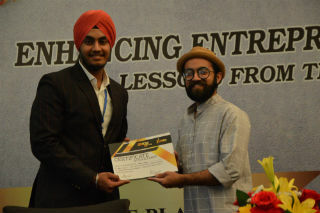 Mr. Ujjwal Chugh told that the mantra to achieve success is to choose the right path and believe in ourselves. 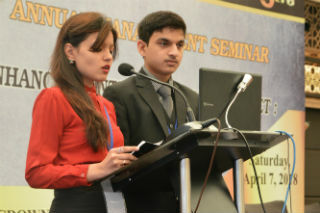 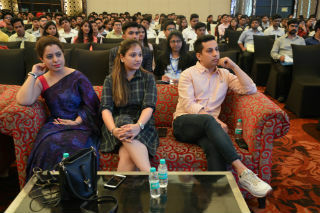 He said that “wisdom and intelligence are associated only with human beings.” During the 2nd session Mr. Nitin Arora and Ms. Shanaya Arora discussed about their personal success. 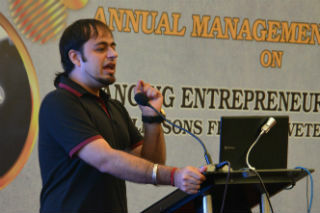 Mr. Sanjay Nagi runs a consulting business, social foundation and takes care of investment facilitation. 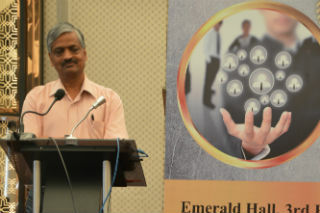 He believes that skills are an important enabler. 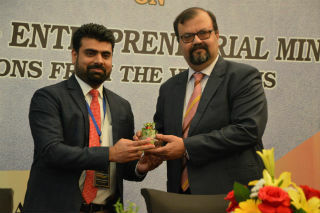 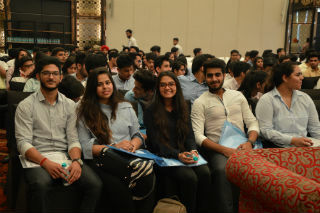 He told the students that “don’t start an entrepreneurship just for the sake of money.” The event proved to be a success as many students who were looking for guidance regarding entrepreneurship now had more clarity.